Originally slated as a 57-event affair that would conclude following action on Sept. 6, WPN decided to add another day and six more free tournaments due to a glitch last weekend that resulted in three events being cancelled. The U.S.-friendly poker network has repeatedly made efforts of being honest and straightforward with players, rectifying situations sometimes beyond their control. To make amends, we are rescheduling not only the three tournaments that were canceled, but all six on yesterday’s slate. The rescheduled date is for Monday, September 7th, extending the Freebuy Super Series II by one day. 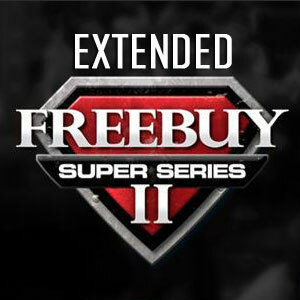 Freebuy Super Series II is totally free to enter, allowing players to win money without having to make a deposit. Players at ACR and other WPN skins such as Ya Poker and Black Chip Poker have been registering and playing in earnest for the past six days, aiming to land in the money in events with guaranteed prize pools in the thousands of dollars. Just as Freebuy Super Series I that was hosted by WPN in May, every event of the festival allows the option to re-buy or add-on at nominal fees from just one penny to $20 for the headlining Main Event. Those re-buys and add-ons are typically a few dollars or less. Five days remain in Freebuy Super Series II and U.S. players are encouraged to register at one of the network skins and take a shot at winning some free cash. Your chances of doing so would be better by at least adding on and grabbing some more chips that can aid in making a deep run in the free tournaments. However, that option is certainly not required. Registration for each event begins two hours before the scheduled starting time and latecomers can join the action for another two hours after it starts. Of course, it’s more beneficial to be on time and grab chips of opposing players from the get-go. The six additional events on Monday, Sept. 7, Labor Day, run the gamut from $500 guaranteed to a huge $8,000 GTD event. Likewise, the re-buy/add-on amounts range from 10 cents ($0.10) to $5. New players would be wise to take advantage of a generous Welcome Bonus at the likes of Americas Cardroom or Black Chip Poker. A first-time deposit bonus of 100% up to $1,000 is yours for the taking at either site. WPN is noted for speedy cashouts, one of the best in the industry in that category.